As marketers we are often challenged to think less like salespeople and more like consumers. But the pressure of driving results can often lead us down the prickly path of click-bait advertising. Before digital advertising matured, pop-ups, banner ads, and auto-play videos were some of the few ways brands could measure ROI from online marketing. In addition, 34% of people who clicked on an ad said it was a mistake, and 15% accused advertisers of tricking of them into clicking. The advancement of browsers on smart phones also meant that many pop-ups could render a website dysfunctional to the user. It’s no wonder that so many people started to adopt ad blockers. When someone uses ad blocking software the ads stop being displayed. This means that sites hosting the ads will not receive any impressions or clicks from that user. Multiply that by the number of people using ad blocking software, and you have advertisers losing enormous potential revenue. As a result of ad blocking, marketers have had to re-evaluate what their message is, how they’re getting it across to consumers, and the value behind the metrics they collect. In the past few years a shift toward an inbound approach to advertising has put the customer at the forefront of marketing strategy. Rather than publishing forced, click-bait ads, marketers want to capture genuine consumer interest in their brands and products. 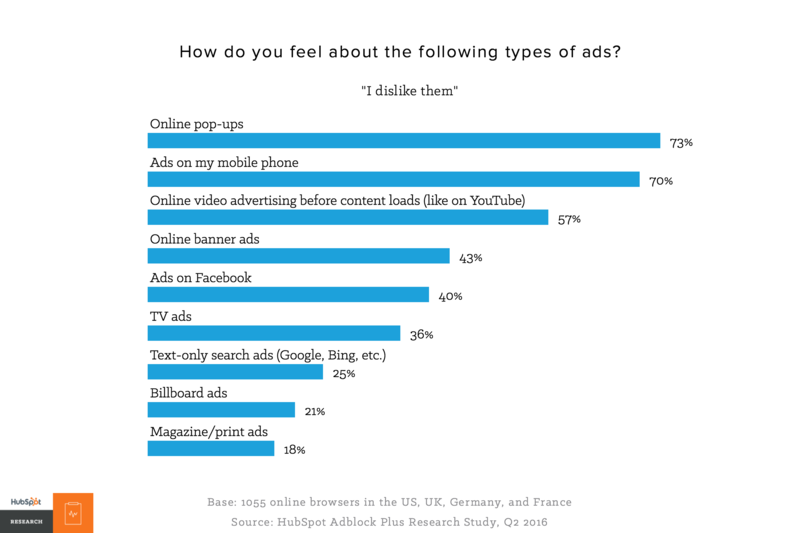 Unfortunately customers no longer trust advertising, and are increasingly wary of ads. Influencer marketing uses the combination of eye-catching content, the power of brand advocacy, and a willing audience. Learn more about how influencer marketing works here. Brands are capitalizing on its success by moving away from banner ads and investing in the evergreen content delivered by influencers.